For fun, I condensed the archetypes of the major arcana into pictograms. For collectors: I still have a couple of copies left. Info below the image gallery on this page. 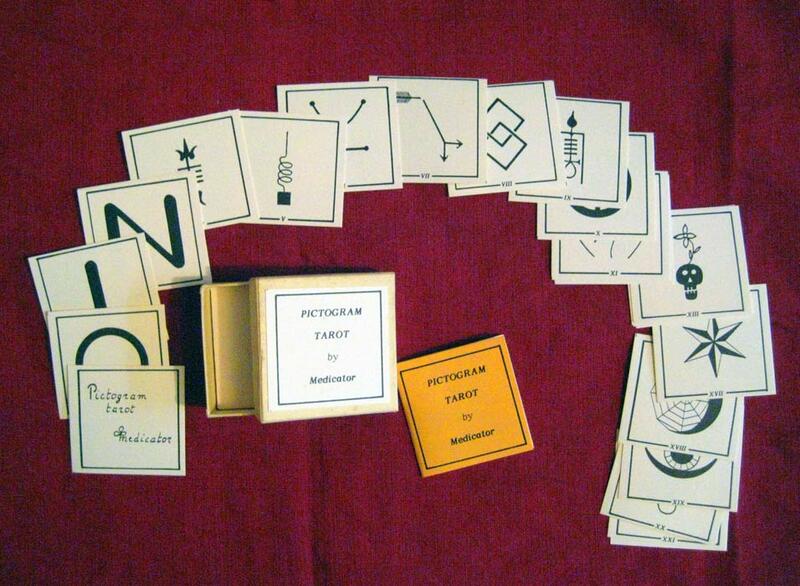 If you are a collector, or just like the Pictogram Tarot, I still have a couple of copies left for sale. 2 3/4″ by 2 1/2″, printed on a yellow textured heavy paper. They come in a cardboard box with booklet. Price is $ 25 plus shipping. Only to USA addresses. No international shipping. Use the Contact Me form.